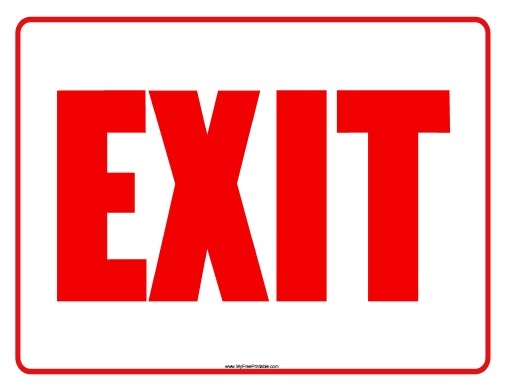 Free Printable Exit Sign. Free Printable Exit Sign that you can use to inform visitors about the available exits. Print all the Exit Sign free using your laser or inkjet printer, and put it on the exit door. This is a very useful free safety solution to inform visitors about the exit in case of an emergency. For durability of your Exit Sign is recommended to protect it with contact paper if you prefer. The Exit Sign is available in PDF format for easy printing. Click the link below to download or print the Exit Sign now to make you workplace a safe place.